You can be in a car, on a plane, at your desk, in your easy chair – no matter the location, it’s never the right time to start negotiating with leg cramps. Sometimes, your low back joins in on the race to see who can ruin your day more. 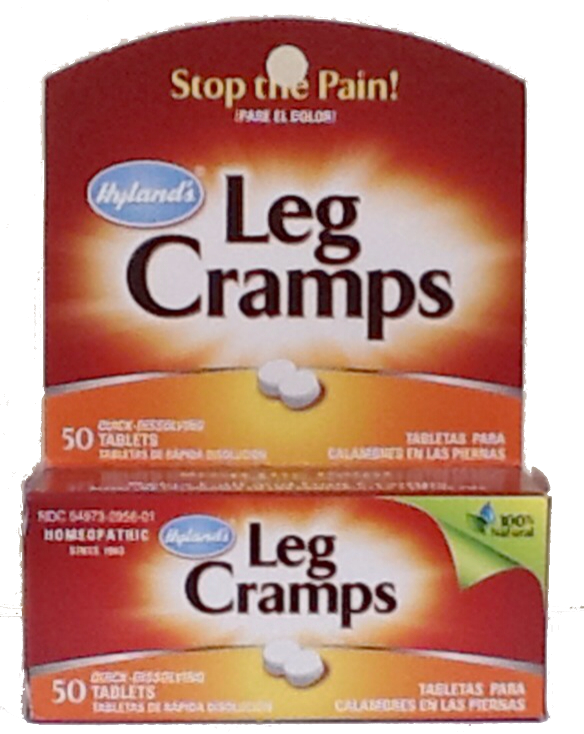 Enter Hyland's Leg Cramps - the #1 Pharmacist Recommended leg cramp OTC medication. This medicine quickly stimulates your body's natural healing powers to stop the pain. Yes! Stand up to leg cramps! Tablets: Dissolve 2-3 tablets under tongue every 4 hours or as needed. Temporarily relieves the symptoms of cramps and pains in lower back and legs. Ask Ask a doctor before use if you are pregnant, nursing, sensitive to quinine or administering to someone under 12 years of age. Keep this and all medications out of the reach of children. Do not use if imprinted tamper band is broken or missing. In case of accidental overdose, contact a poison control center immediately.